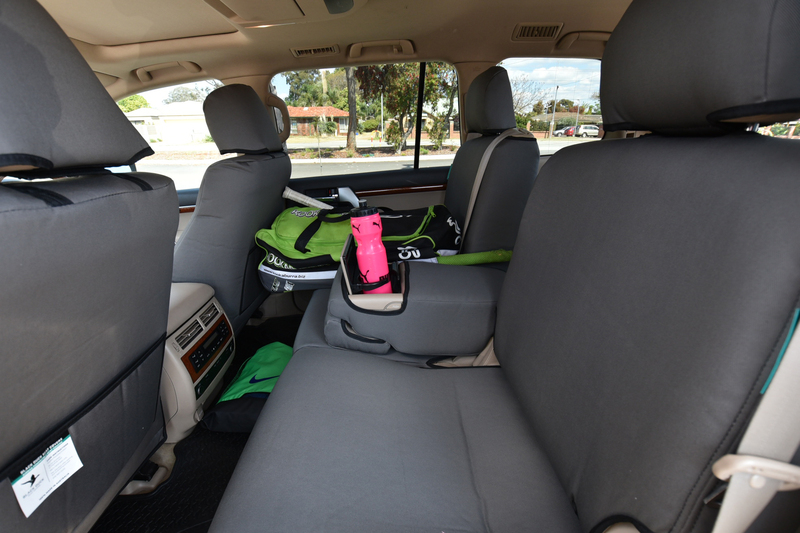 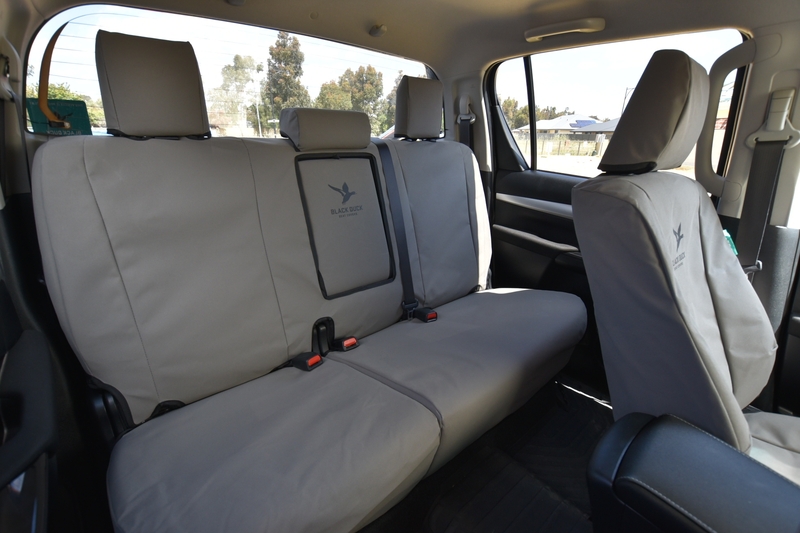 Black Duck™ Canvas Seat Covers - maximum seat protection for your Isuzu D-Max EX & SX Sinlge/Dual/Space Cabs, we offer colour & fabric selection, the largest range & the best prices in Australia! 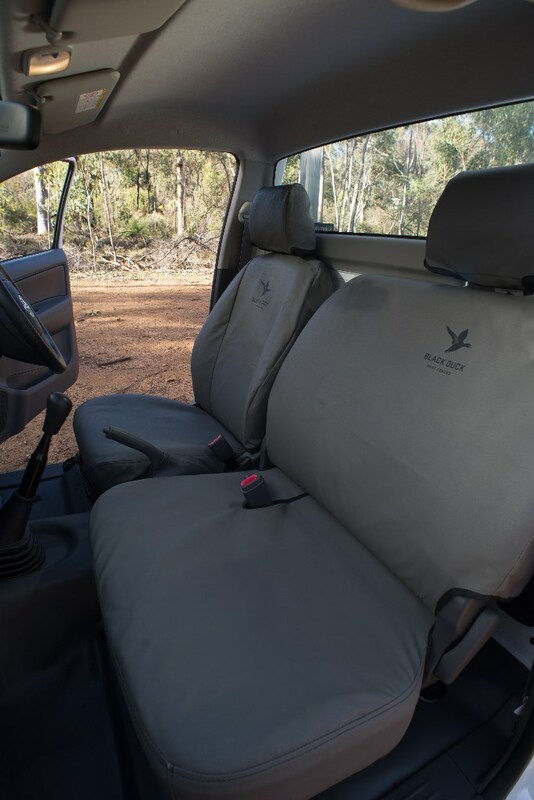 You will save when you shop online at www.millercanvas.com.au for Australia's most popular Canvas & Denim seat covers to fit Isuzu D-Max EX & SX Single/Dual/Space Cabs, manufactured in Perth by Black Duck™ Canvas products. 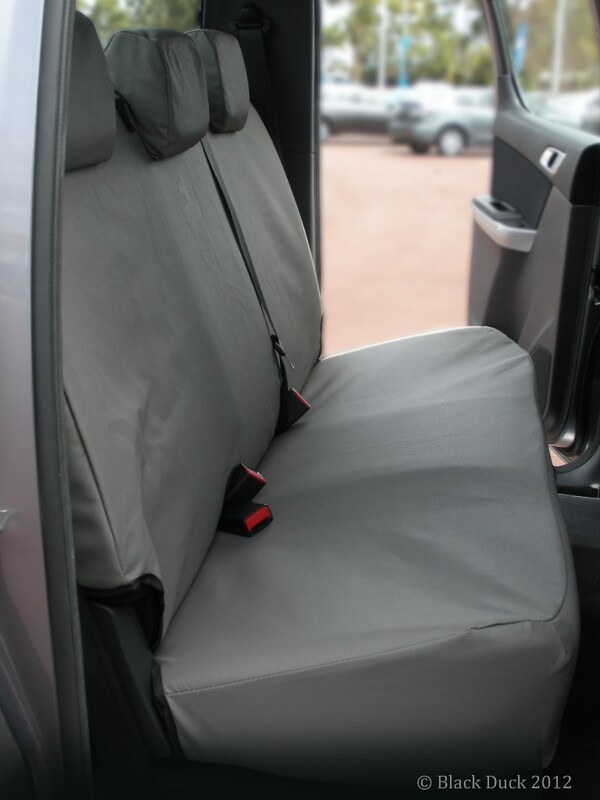 Suits Models: READ CAREFULLY divers seat has only 1 lever on the RH side of the seat base (see image below). 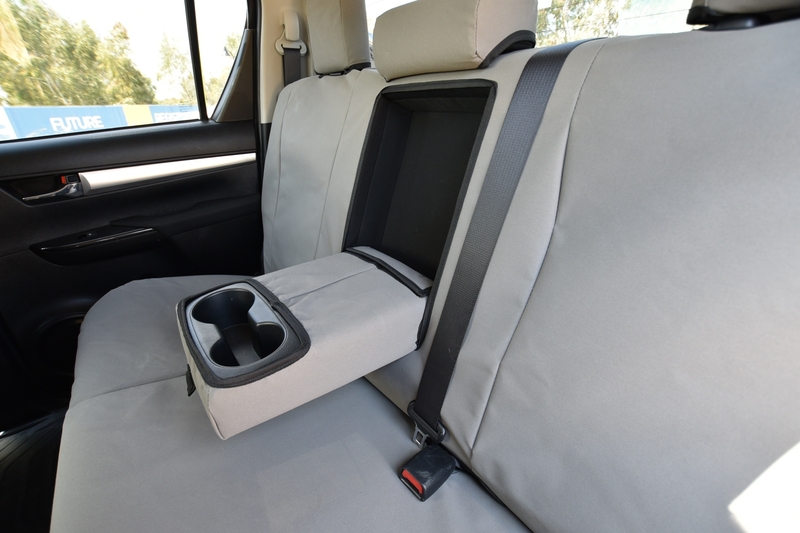 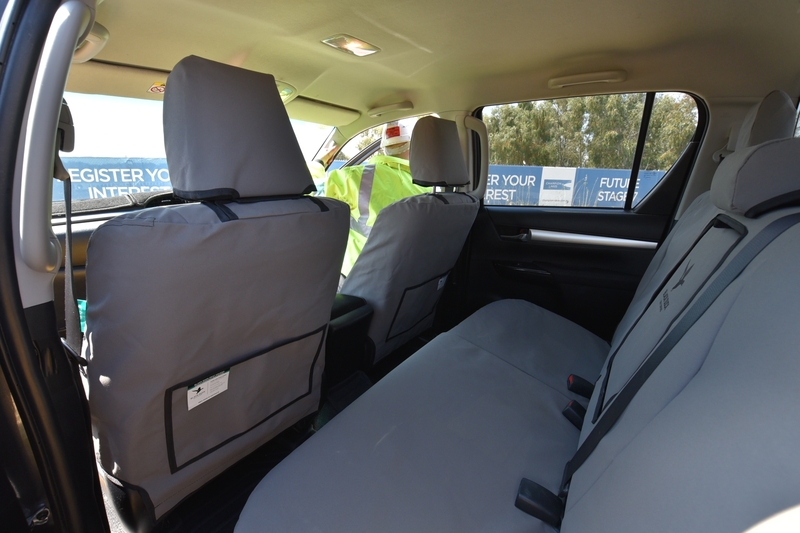 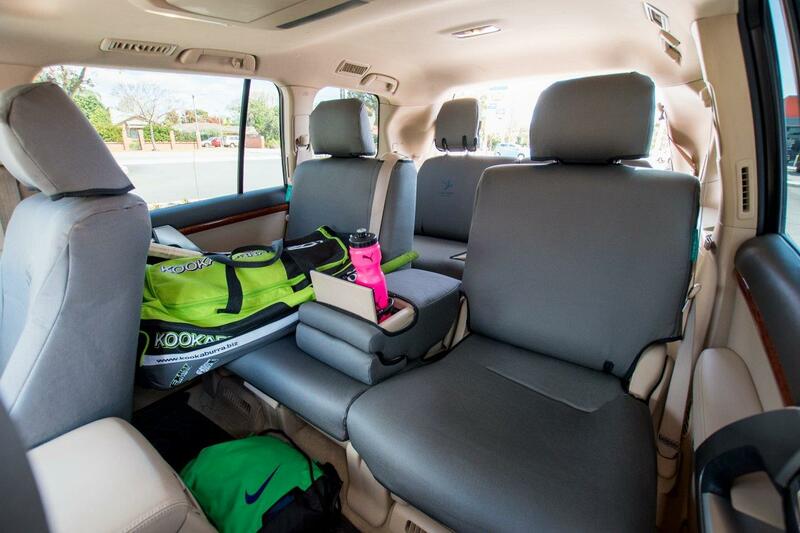 Both Front Driver & Passenger Bucket Seats (as a SET) with Seat-Fitted Airbags (Air Bag Certified by an ADR Testing Authority). 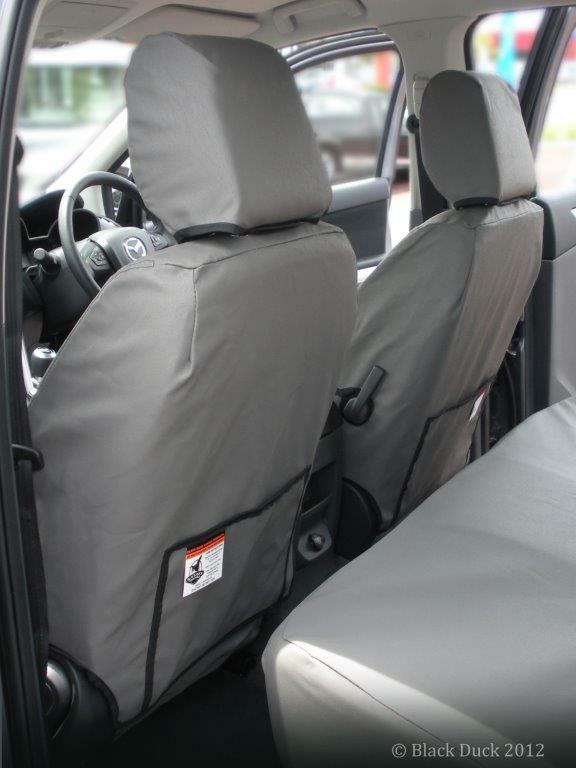 100% Manufactured here in AUSTRALIA with the main R&D and manufacturing plant in Perth and another in Wangaratta Victoria, your covers are shipped direct to you from the Perth factory. 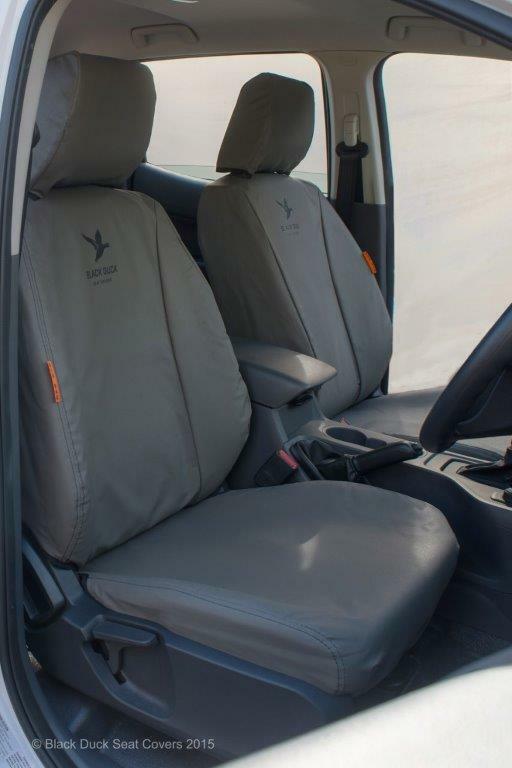 If you are not 100% satisfied with your Black Duck Seat Covers suitable for Isuzu D-Max Utes, we offer you a full money back* guarantee, because Black Duck have 100% confidence that their product will add value to your investment! 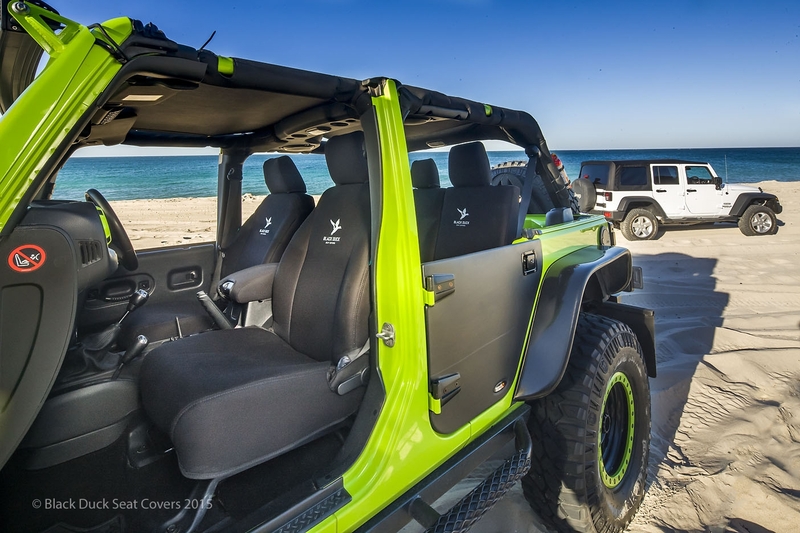 * Conditions Apply. 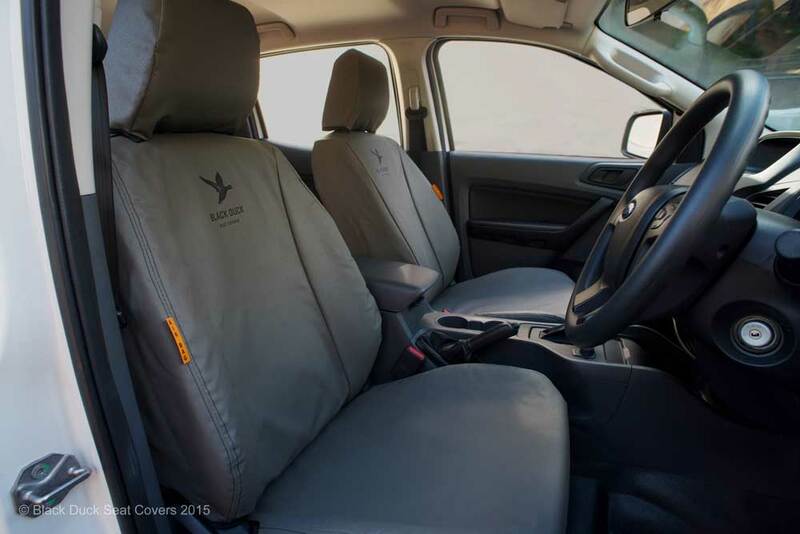 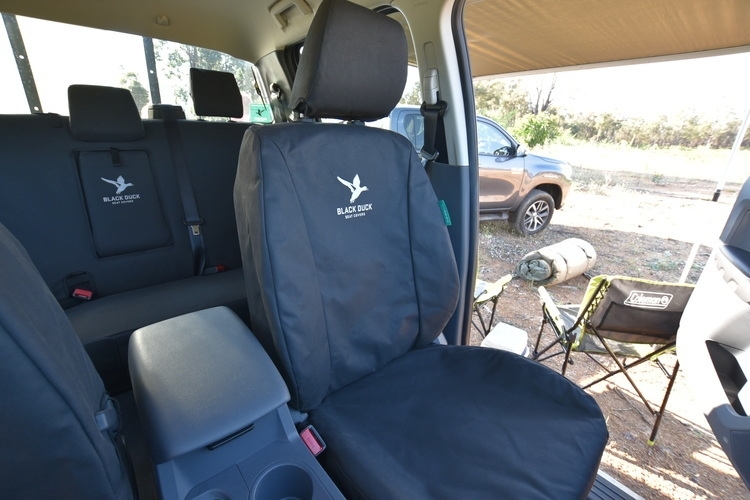 Introduced in 2015 you now have the choice of the tried and proven original Black Duck Canvas Seat Covers or the all new Black Duck Denim Seat Cover suitable for Isuzu D-Max Utes both with Black Duck's superior fit and quality, manufactured here in Australia. 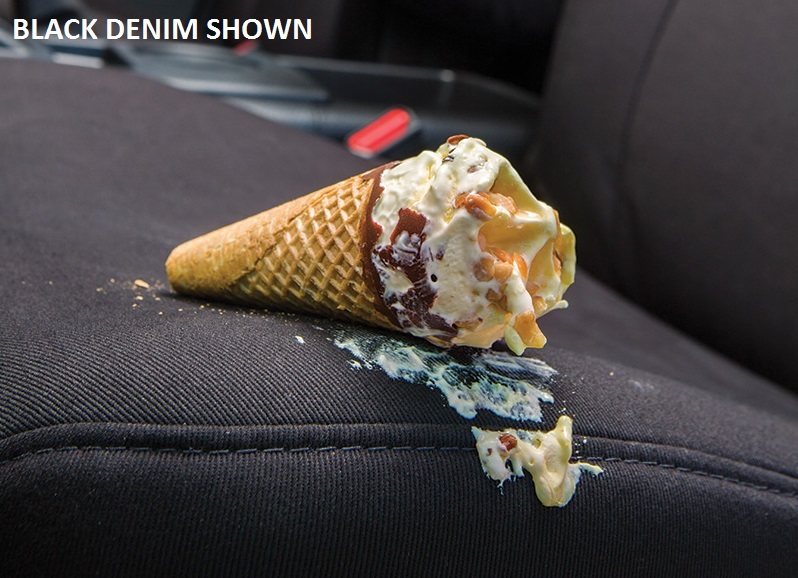 Denim covers are the same price as the canvas covers. 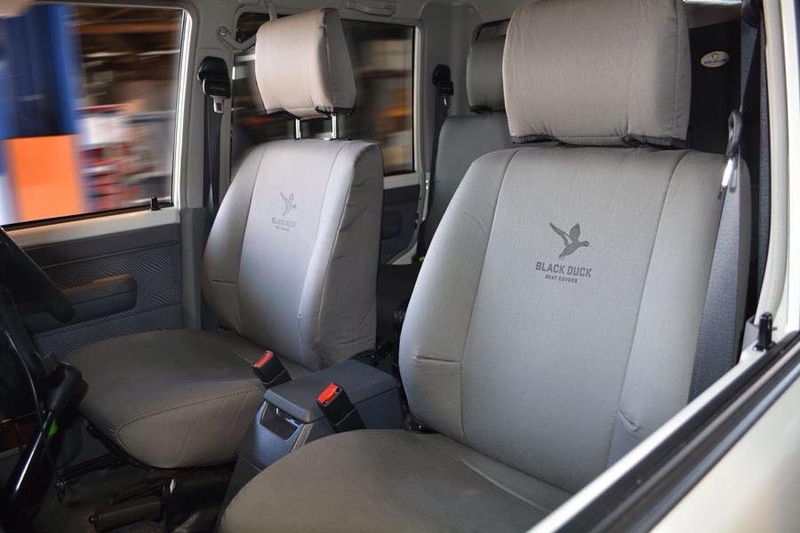 So in effect Black Duck Denim product offers the same Black Duck quality as Black Duck Canvas but with extra style and extra comfort! 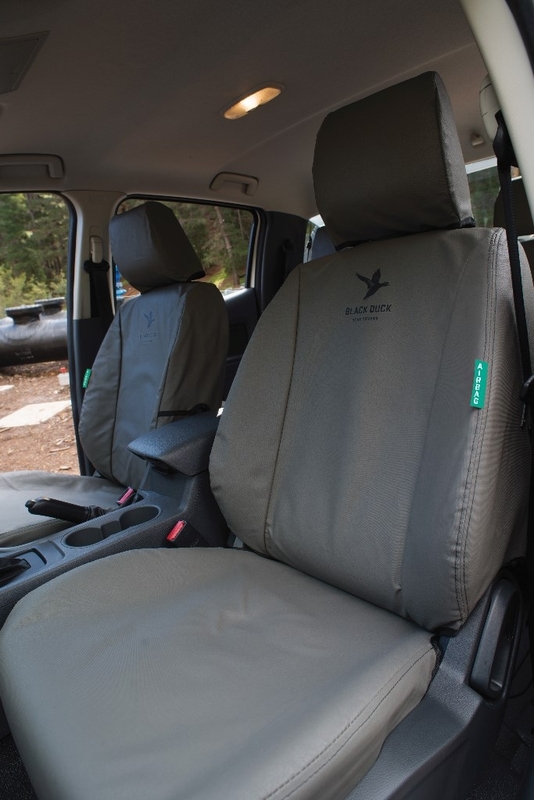 Now with the development of its new product range, the number of Black Duck fans is set to grow. 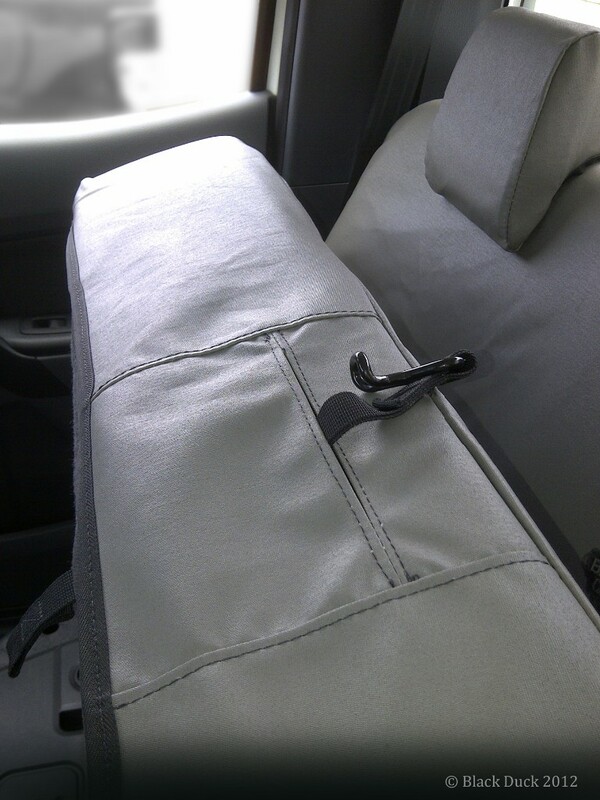 After all it makes sense. 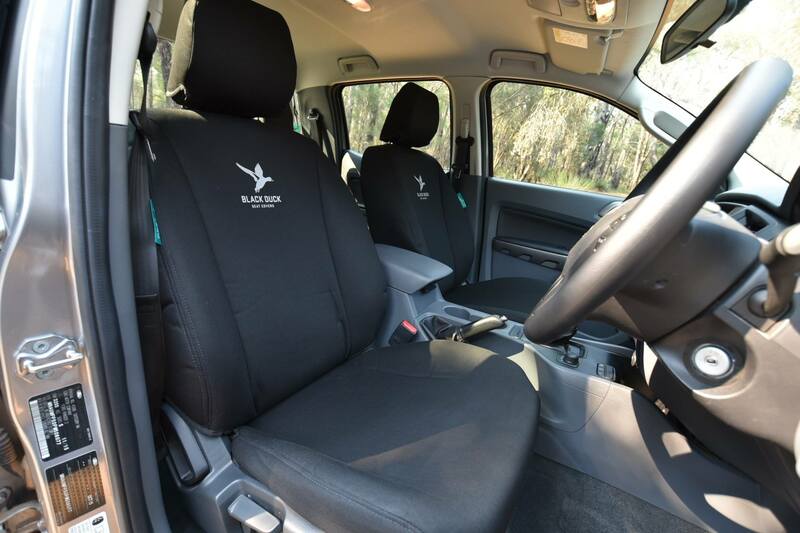 Black Duck Seat Covers whether your preference is canvas or denim, add style comfort and long-term protection to the seats in your Isuzu D-Max Utes.